At our next Google D.C. Talk on Tuesday, July 7, Wired editor Chris Anderson will talk about the power of a price: $0.00. 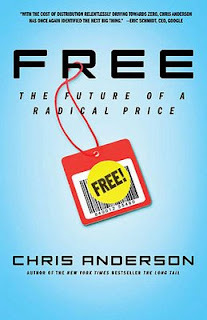 In his new book, Free: The Future of a Radical Price, Anderson makes the provocative case that in many instances businesses can profit more from giving things away than they can by charging for them. But if the product is free, where's the revenue? And how do you compete when your competitors are giving away what you're trying to sell? We'll ask Chris those questions and more. Got a question for Chris, but can't wait to the event? Submit your question now through Google Moderator or vote on the questions that others submit -- and we'll ask the top-rated questions at the talk. 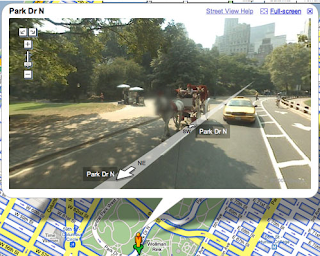 From its inception Google Health has been about giving patients control over their medical data. For starters, that means we help people access their health information, give them a safe and secure place to store it, and let them share it with others if they wish. Over time our goal is to help consumers play a larger role in their own healthcare by empowering them with the information they need to make better healthcare decisions. As part of this effort, we're endorsing an industry-wide Declaration of Health Data Rights. Unveiled today at HealthDataRights.org, the Declaration aligns with the principles behind Google Health: consumer empowerment, privacy protection, and data portability. We've joined a diverse group of stakeholders -- including doctors, researchers, technology companies, writers, entrepreneurs, health economists, and others -- that have come together to support this effort to promote greater patient access to personal health data. While most of the rights outlined in the Declaration are already included in the Health Insurance Portability and Accountability Act (HIPAA) and the recent American Recovery and Reinvestment Act (ARRA), there are still practical challenges to acting on these rights. For example, getting access to your medical records today often requires that you fill out a form at your doctor's office, pay a $35 copying fee, and then wait a month or more to receive your records in the mail. Under the law, this is your data, and we believe you should have it the day you visit your doctor. We hope the Declaration will help raise public awareness about the rights already protected under HIPAA and also help drive the public debate towards increasing patient access and control over their own health data. Strong health data rights will help patients collaborate with their doctors in order to get better care and avoid medical errors. Given the tremendous volume of information online -- more than 1 trillion unique URLs and counting -- the ability for users to search for and find relevant content is critical. This couldn't be more true for the tens of millions of pages of content stored on government websites. Unfortunately, many agencies make it difficult or impossible for search engines to index their sites and make information available to citizens who are searching for it. In response to President Obama's call for ideas on how to open up the government to its citizens, Google put forward recommendations last Friday in which we point to two simple steps government webmasters can take to make sure that search engine queries lead users to the right websites and hopefully, the right answers. First, agencies can adopt the Sitemaps protocol, which allow search engines to crawl websites more intelligently. Most search engines offer free Sitemap generator tools -- check out Google Sitemap Generator. Second, agencies can review their robots.txt files. Many agencies currently block large portions of their websites from search engines with robots.txt files, sometimes unknowingly. By reviewing and selectively using these files, webmasters can easily open up large amounts of content to citizens. Free analysis tools like Google's robots.txt test can help webmasters identify which pages are accidentally being blocked. The next stage in the campaign for open government will come when the Administration encourages agencies to publish their most popular, timely, and relevant data on their websites and data.gov. 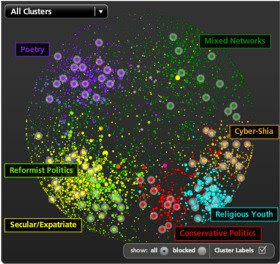 Static, obscure, and dated information is not useful to citizens who want data relevant to their everyday lives, nor is it helpful to third parties who want to build tools that citizens can use to understand that data. As it works towards its goal to bring greater transparency to government, we hope that the Administration continues to take the steps necessary to make government information more easily accessible to citizens on the web. At a Wired conference yesterday, Jeff Bezos, the CEO of Amazon, made some fairly critical comments about Google Books that have, predictably, created press attention. We can't presume to understand the full nature of Amazon's statements, but we believe they go to the heart of our continuing efforts to make books more available and were likely motivated by recent news about Google Books. Last month at the BEA conference in New York, we discussed our plans to expand Google Books for our publishing partners. By the end of this year, we hope to give publishers, as well as authors, the ability to sell online access to their works so that people can find, purchase and read books on the devices they choose, including computers, mobile phones, laptops, netbooks, or e-readers from multiple vendors. This service will also be designed to allow multiple retail partners to distribute these books, similar to the way book sales work in the physical market. We believe more choice is good. That's exactly why our vision for Google Books is to create an open platform that, among other things, allows any bookstore, library, publisher partner or individual website developer to provide their users with the ability to search across and preview books in a similar way to Amazon's Search Inside! feature. Providing more choice is also why we entered into our settlement agreement last year with authors and publishers. The settlement will provide users with more access to books. We still strongly believe that copying for the sake of indexing is a fair use that is encouraged by existing copyright law precedents. Fair use is critical to the way web search and book search work and is already well established. The settlement allows us to bring real benefits to users. It opens access to millions of books that are no longer published; it expands access for people with disabilities; and it compensates rightsholders for new uses. And, through the creation of the Registry, and a database of copyright claims information, the settlement makes it easier for others to find rightsholders and license their works. Other companies, including Amazon, and individuals can contact rightsholders directly or work through the Registry (if the rightsholder has authorized the Registry to do so) to license works for new uses. And for books whose rightsholders can't be found, we also support comprehensive orphan works legislation, as we've said in the past. In the end, we believe more access is good for everyone, Google and Amazon alike. But most importantly, it's good for readers who simply want to find and enjoy books, and for authors and publishers who want to create and sell works. With news of bankruptcies and bailouts dominating the headlines recently, it's easy to lose sight of one of the bright spots in our economy: the Internet. In an incredibly short amount of time the Internet has emerged as a key driver of economic growth, creating millions of American jobs that generate hundreds of billions of dollars in economic activity. This afternoon a new study commissioned by the Interactive Advertising Bureau put some real numbers on this very point. According to Harvard Business School professors John Deighton and John Quelch, the Internet is responsible for 3.1 million American jobs and $300 billion in economic activity spread throughout the United States. As Professors Deighton and Quelch put it, the web "has created unprecedented opportunities for growth among small businesses and individual entrepreneurs." As the report makes clear, it's difficult to overstate the social and economic benefits of the Internet on the United States. Unlike any other platform in history, it has empowered entrepreneurs to start new businesses and connect with customers around the world, and has provided users with access to unprecedented amounts of information. We think it's important for policymakers to understand the social and economic benefits of the Internet. That's why I was happy to see IAB also announce this afternoon the launch of the Long Tail Alliance, a group of small independent online businesses working to educate policymakers about the benefits of online advertising and to advocate against burdensome restrictions that would damage the Internet economy. In conjunction with the release of the new study, a group of Long Tail Alliance members representing 25 Congressional districts and 13 states took a maiden voyage to Washington to tell Congress their story. Check out some of what they have to say at "I Am the Long Tail." As the Internet economy continues to grow, we hope Members of Congress turn to groups like the Long Tail Alliance, the Google Small Business Network, and others to better understand the tremendous economic and social benefits of the web and its impact on small businesses and entrepreneurs across the country. As I mentioned last week, the University of Michigan recently announced an expansion of its partnership with Google, making millions of books from its library collection accessible to readers, researchers, and book lovers across the United States. This weekend Paul Courant, Dean of Libraries at the University of Michigan, penned an op-ed in the Ann Arbor News explaining that the approval of the Google Book Search settlement agreement will result in "ubiquitous online access to a collection unparalleled in size and scope, preservation of the scholarly and cultural record embodied in the collections of great research libraries, new lines of research, and greatly expanded access to the world's printed work for persons with print disabilities." Check it out when you have a chance. Open, ubiquitous broadband connectivity holds the promise to catapult America to the next level of competitiveness, productivity, education, health, and security -- but how do we get there from here? The American Recovery and Reinvestment Act (ARRA) of 2009 requires the Federal Communications Commission (FCC) to deliver to Congress a National Broadband Plan by February 2010. This represents a golden opportunity for policymakers and all Americans to take a hard look at the current state of broadband deployment and uptake, and begin laying the groundwork for a communications infrastructure truly capable of meeting the demands of the 21st century. Today Google submitted to the FCC our initial thoughts for how we might do just that. As part of a comprehensive broadband policy framework, we believe that our government should adopt a bold yet achievable goal for making high-speed Internet capabilities available to each and every American. Our comments call for all American households to have access, by 2012, to at least 5 Mbps upload and download speeds over broadband. We believe that a 5 Mbps benchmark is an ambitious yet attainable first-step, and that even more challenging benchmarks with much higher capacity levels may well be necessary over the course of the next decade. If this benchmark is accomplished -- so that today's unserved or underserved consumers become tomorrow's broadband customers -- we will have truly become an always-on nation. Install broadband fiber as part of every federally-funded infrastructure project. By some estimates nearly 90 percent of the cost of deploying fiber is associated with construction costs like tearing up and repairing roads. The National Broadband Plan should require the installation of broadband fiber as part of all new federally-funded infrastructure projects. Laying fiber -- or even simply installing the conduit for later fiber deployment, as Rep. Anna Eshoo has suggested -- during the construction or repair of roads and other public works projects will dramatically reduce deployment costs. And it's just good common sense. Deploy broadband fiber to every library, school, community health care center, and public housing facility in the United States. Low-income Americans are increasingly left out of the digital revolution. The National Broadband Plan should call for the deployment of high-speed fiber connections to every library, school, community health care center, and public housing facility in the country. This would create community hub centers nationwide, providing access to underserved populations and potentially acting as a springboard for more widespread broadband adoption in these communities. Create incentives for providers to install multiple lines of fiber as new networks are rolled out. The Commission should offer incentives to providers wishing to build new network infrastructure to lay cable containing multiple fibers. These unused fibers could in turn be leased or sold to other network operators, increasing competition along with deployment. Encourage greater wireless broadband and reduce barriers to deployment. Last November, the FCC paved the way for "white spaces" spectrum to be used to deliver better and faster wireless broadband connections to American consumers. The Commission should encourage use of unlicensed devices in "white spaces" spectrum by eliminating unnecessary requirements and easing interference standards in rural areas where no actual harmful interference would occur. Our comments also note that using broadband as an optimal Internet platform will require both considerable focus and substantial resources, both private and public. In short, there is no "silver bullet" solution. Instead, some projects will depend on market forces and companies investing private capital to construct new infrastructure (like Verizon's FiOS platform), while others will require direct government involvement through subsidies or regulatory mandates. Still others will require a mix of public and private involvement. In developing a National Broadband Plan, the FCC has the opportunity to embark on a fresh course to ensure our nation's digital infrastructure fully meets our 21st century opportunities and challenges. If you've ever wondered about the power and popularity of user-generated content in Canada, consider this: if all three Canadian television networks began broadcasting Canadian content 24 hours a day, seven days a week, YouTube would still have more Canadian content than those three networks combined. For the past several months Canada's telecom regulator, the Canadian Radio-television and Telecommunications Commission (CRTC), has considered whether Internet content should be regulated. I'm pleased to report that the CRTC announced last week that it will continue its hands-off approach to new media. The real standout from the decision is the concurring opinion written by Commissioner Tim Denton. His concurrence is an impassioned defense of online free speech and a thoughtful reminder of the inadequacy of broadcast regulation to fully appreciate the social, political and cultural innovation made possible by the open Internet. In our submission to the CRTC back in December, we argued that exempting new media from regulation is the best approach to "keeping the Internet awesome," noting that Canadians have uploaded hundreds of thousands of hours of video to YouTube. The CRTC's decision is great news for the millions of Canadians who use the open Internet to create, distribute, and find diverse Canadian and global content.